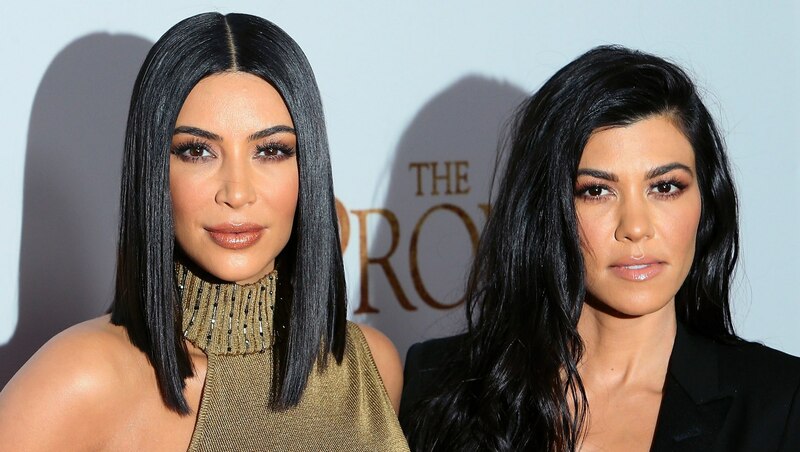 For their latest family outing, Kim Kardashian West and Kourtney Kardashian took their kids to the happiest place on Earth. (We are, of course, referring to Disneyland.) On Tuesday, Kardashian West and her 5-year-old daughter, North, and 2-year-old son, Saint, were joined by Kardashian and her 5-year-old daughter, Penelope, for a magical excursion to one of the family’s favorite destinations. In a video posted to Snapchat, Kardashian West and North took a ride on It’s a Small World while North adorably sang along to its eponymous tune. (North — she’s just like us.) Kardashian West didn’t join in the singing, but she can be heard giving an enthusiastic, “Hey, Minnie!” greeting to the iconic mouse. Kardashian West’s second video shows the reality star and Saint aboard King Arthur’s Carousel. Because no Disneyland snap would be complete without the appropriate filter, West added the Mickey Mouse filter to both their faces. Go big or go home, right? The West kids were joined by their cousin, Penelope, and Aunt Kourtney, who also documented the excursion on social media, sharing a sweet photo of herself, Penelope and Mickey Mouse on Instagram this morning. “Had to go check on my castle yesterday,” she captioned the post.